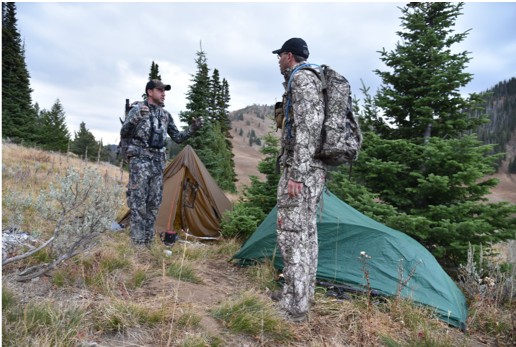 Special Series: Effective Gear for the Backcountry Bowhunter. Part 4: Shelters and Tents. Having used both tents and bivy/tarp systems, this is an area that really is going to boil down to what you feel most comfortable sleeping in overnight. I could go on forever about various tent styles and brands because there are a ton of options out there, but I’m going to boil it down to this small paragraph. 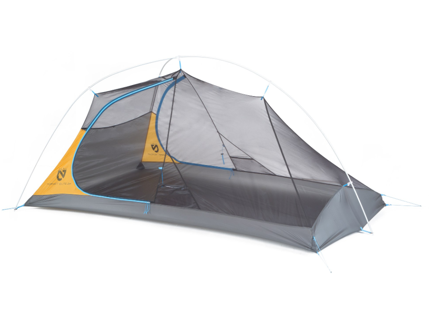 The first thing you need to know about tents: if it’s rated as a ‘2 person tent’, then you should divide that in half. 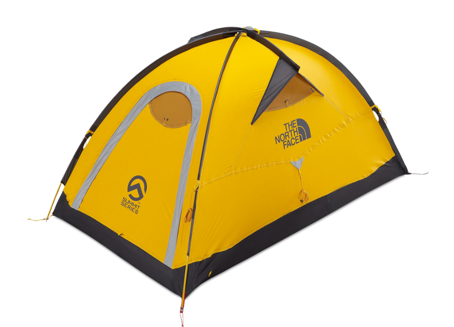 In general, if it’s a ‘4 person tent’ you might get 3 people in it semi-comfortably but without gear. Next, you’ll nearly always deal with some condensation. Usually, the smaller the tent, the worse it gets. The amount of ventilation you’ll need depends on a number of factors. However, as you add ventilation areas, it always seems to me that you increase the inability of the tent to take harsher conditions. A big plus for the tent category is that bugs are almost a non-issue. Unfortunately, once bugs are in your tent, they’re in for the night and seemingly the entire trip. Nothing causes more sleepless nights on hunts for me personally, night after night, than buzzing mosquitoes and flies that somehow find their way into my tent setups, no matter how hard I try to keep them out. For the most part though, during elk season (in most areas) you probably won’t have any serious issue with bugs. 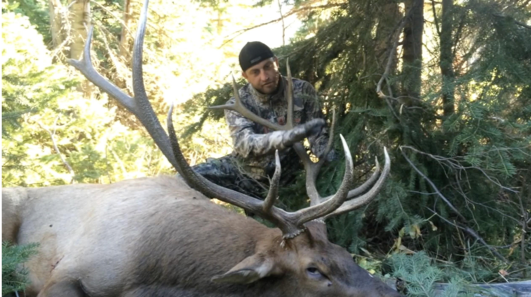 Muley hunter’s with earlier season dates are more likely to have that kind of an issue. Again, so much of this depends on what state and area you’re hunting. It’s one of the questions you may want to ask of people who live in the area when you’re making your pre-season scouting calls. To wrap up this quick summation, in most cases I’ve gotten what I’ve paid for in a tent. The lighter, tougher, more packable, the more you’re going to pay. Before I get into suggestions and details of tent set-up from my own experiences, I’d like to introduce you to bivy and tarp setups. At first most of you will likely reject the thought of a tarp setup, but let me lay out all of the advantages and disadvantages, just to be fair. 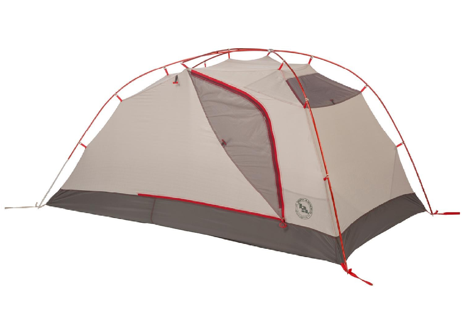 For the price of a quality tent setup, I can purchase a tent and bivy combo equal to or considerably cheaper. Slightly more with a Titanium Stove included. I can have the versatility of running with only a bivy (which is basically a miniature tent) using a tarp only when really needed. And as mentioned, I can run a stove (yes a stove) to keep warm, giving me the ability to dry out clothes. All from the comfort of my sleeping bag in horrible conditions. In most cases, I’m carrying that stove along with my tarp and bivy with less weight than a four season tent. I can set my system up faster than most any quality tent. 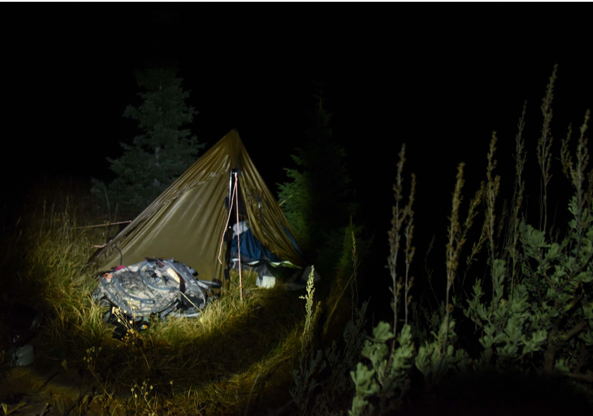 Additionally, I can sleep in a much smaller area than most tent setups can in steep and uneven terrain, even in an area as small as a deer bed on the side of the mountain. 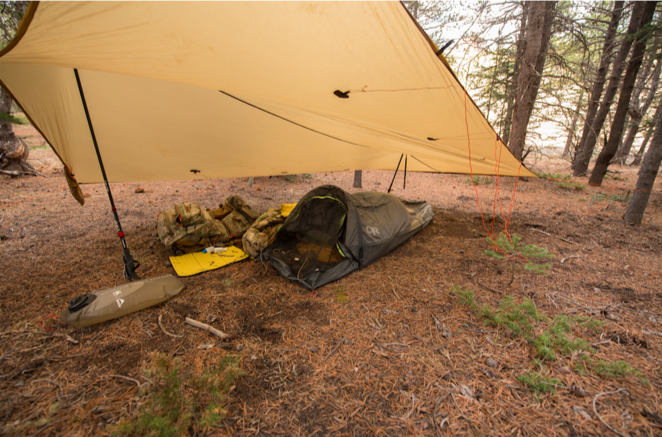 The tarp can be configured in a number of ways to account for a variety of terrain. I can use the tarp by itself, for shade from the sun when glassing for hours on end. Or, I can use the tarp to quickly get out of the rain, before I begin setting up camp in an unexpected storm. Oh, and I don’t even have to take my boots off when I get in my shelter. So the immediate apparent downside if you’ve never used a bivy/tarp setup, is that you have a floorless shelter. I know that many of you reading this are thinking, ‘what about rain and water under me?’ Unless you set-up in a depression, you’re not going to have an issue with water. Plus, you’ll likely be using the bivy, so you won’t be laying your sleeping bag in a pool of water. You will have protection from water as long as you’re using a bivy. I also carry some kind of ground cloth, usually a piece of Tyvek. I’ve made other things work like painter’s plastic, and in a pinch, an emergency space blanket. Doubled up, it’s better than nothing but it punctures pretty easily. It provides a clean area for me to rest my feet while putting on my boots and I can keep my gear on it if the ground is saturated for any reason, which it shouldn’t be if you’ve selected a good area to set up. Compared to most tents, I can’t imagine having a tarp setup in the worst of conditions. One thing that I will never let happen again is, like in the past, waking up in a rainstorm with water captured in the bottom of my tent. Packing a tarp up, even with a little condensation under it, isn’t nearly as bad as packing up a tent with water inside of it. With a tarp setup, it dries out much faster and it’s easier to shake out any water that’s on it. The time it takes to dry out a tent that’s gotten wet on the inside is nonexistent with a tarp. There’s no heavy poles to carry with my tarp. I can cut sticks for support, or I can use my trekking poles to support it in a number of configurations. I don’t have to worry about broken tent poles that may be needed to support my tent structure, and I don’t have to worry about losing poles. It seems I started this paragraph attempting to list the negatives of a floorless shelter or tarp shelter, but I wound up going back to all the positives of a tarp shelter system. Honestly, there’s only two places I would pick a tent over a tarp, and I would carry a 4 season tent for both. If I know I’m going to be in a timber-less area with high winds, that would be one. The other would be if there is snow in excess of a couple feet, where it would be difficult to dig a space in the snow to pop my stakes in, I just can’t see using anything else. If I had to choose a tent, here are a couple that are superstars that I can suggest. If I don’t list one that you think should be on this list, it’s because I haven’t used it or had some small issues for me personally that I just wouldn’t prefer to be present in a tent. 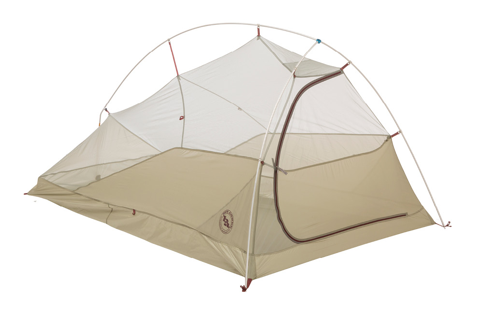 In the 3 season arena, I would run the Big Agnes Fly Creek UL2 (pictured below). All around good combo of weight (2.5 lbs. ), comfort, and price. 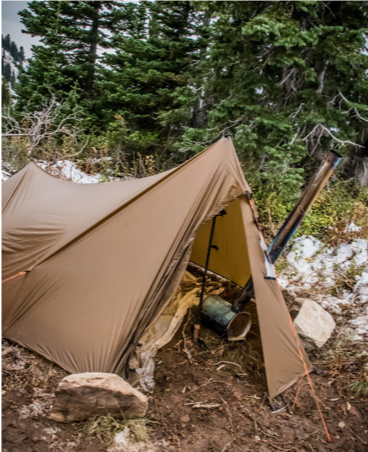 The toughest 3 season that I’ve seen is the Hilleberg Niak shown below at 3lbs. 12oz. However, if you’re going to go this direction, you might as well just go right ahead and pick up the Hilleberg Anjun 2. On the 4 season front, I suggest that you need to make the investment in the Hilleberg. Of the tents that I’ve looked at and researched, the Hilleberg Anjun 2 (pictured below) at 3lbs. 4oz. should be your go-to option. It’s hands down the toughest of the three, but it comes at a price. In excess of the $600 range. I haven’t heard from a single person that wouldn’t choose this line of tents for the worst possible conditions, especially above tree-line or in a windy tundra condition. The other comparable but more economical options that I’ve heard others happy with are the Big Agnes Copper Spur HV2 Expedition (4lbs. 12oz.) and the North Face Assault 2 (3lbs. 4oz.). Pictured below in succession. But even both of those are going to cost you, new, over $500. I personally don’t think you can beat the value you’ll find with the Hilleberg series as opposed to both of these two. Traditionally, for my bivy, I’ve run with an Outdoor Research Gore-Tex Alpine bivy. We’ve been through a lot together! Now that I run a tarp, I’m switching it up to a Big Agnes 3 Wire Bivy. Mainly because it’s seemingly more breathable with the e-vent fabric. Allowing me to stay a little cooler on late August and early September hunts, it has a larger sized zipper that zips open down the side, as opposed to having to slide into the top of my Outdoor Research. However, if you gave me a choice of the two for a late September Montana hunt, I’d still choose my bulletproof… Or, I also carry a small piece of Tyvek or 4 mil plastic for an interior ground cloth. That doubles as a clean slate for me to lay butchered meat on as I bag it up as mentioned earlier. For the tarp itself, if I’m solo, Kifaru offers the Aegis tarp this year. In essence, it’s a larger version of the Sheep tarp. Traditionally I’ve used the Supertarp. 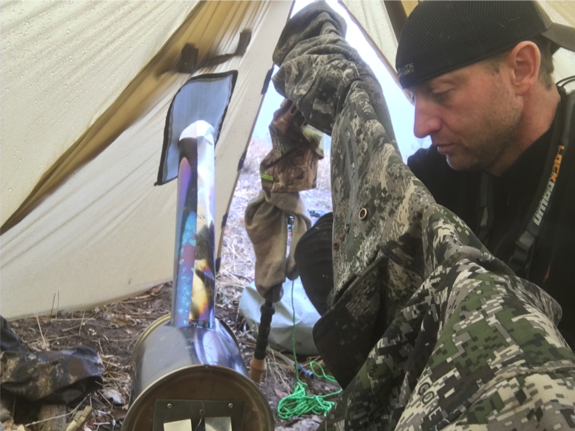 Pictured below is my Supertarp and Smith Cylinder Titanium Stove combo. Hands down the best setup I’ve used to date from the harshest environments to the warmest environments. The Supertarp was actually a bit big for me, but the little bit of extra weight for a little extra room for firewood in conditions like these, suddenly didn’t seem like such a big deal! There are new tarps that have arrived on the scene as well. But to be honest, I’m not experienced with them yet and I generally stick with what’s worked best for me historically. Perhaps the most popular are the Seek Outside tarp systems. They offer similar designs to Kifaru and I haven’t heard anyone with significant issues complain about the product lines. Again, you can save quite a bit by logging onto Rokslide Classifieds or a variety of buy, sell, trade Facebook groups if a new system isn’t quite in your budget. If you run with this same system as I just mentioned above, I highly doubt you’ll ever switch back to a tent and you’ll have it forever, if you take care of it. Some companies are now offering a bug net as well to fit inside of the tent, if all that’s holding you back is the bug issue…there’s your solution. The ultimate shelter system for me though…a bivy and tarp system!